As the sun slowly sank in the west . . . This entry was posted in Glimpses and tagged Nikon 24-120mm f4.0 ED VR, Nikon Df, palm trees, photography, reflections, sunset, water. Bookmark the permalink. Stunning shot N, the colour in the water is so pretty. 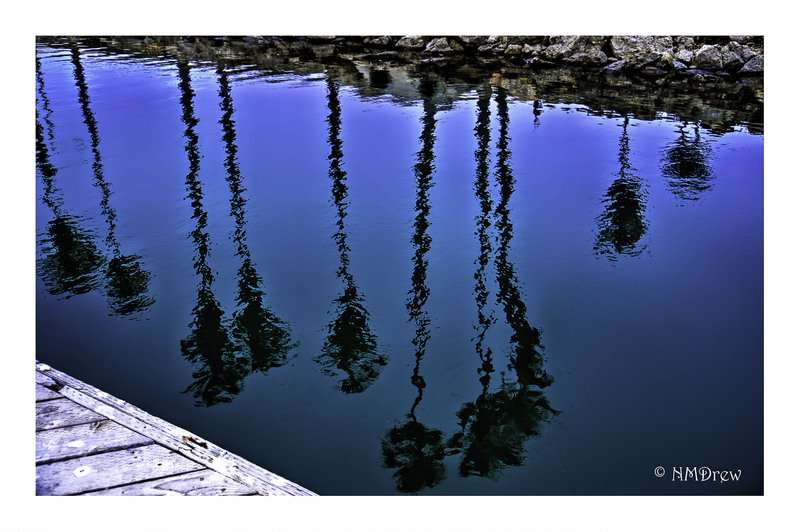 Reflections is my theme next month, wish we had palm trees! Heheh! Well…rumour has it they may be found in the Scillies . . .